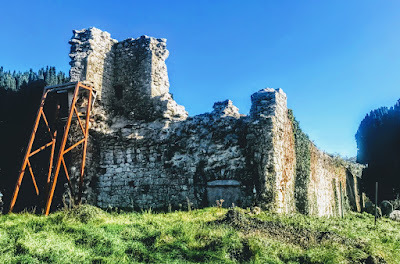 As I was exploring the history of Croagh, Co Limerick, and the ruins of the former Augustinian abbey and Church of Ireland parish church, I came across a story that links this part of Co Limerick with the Rye House plot, a plot in 1683 to assassinate King Charles II and his brother, the Duke of York, later King James II. Colonel Thomas Walcott (1625-1683) was born in Warwickshire, the fourth son of Charles Walcott and Elizabeth Games. He was a Puritan and during the English Civil War he became a colonel in Cromwell’s Parliamentary Army. During the Cromwellian era, Walcott came to Ireland, and married Jane Blayney, daughter of Thomas Blayney, niece of Edward Blayney, 1st Baron Blayney, and grand-niece of Adam Loftus of Rathfarnham Castle, Archbishop of Dublin and first Provost of Trinity College Dublin. 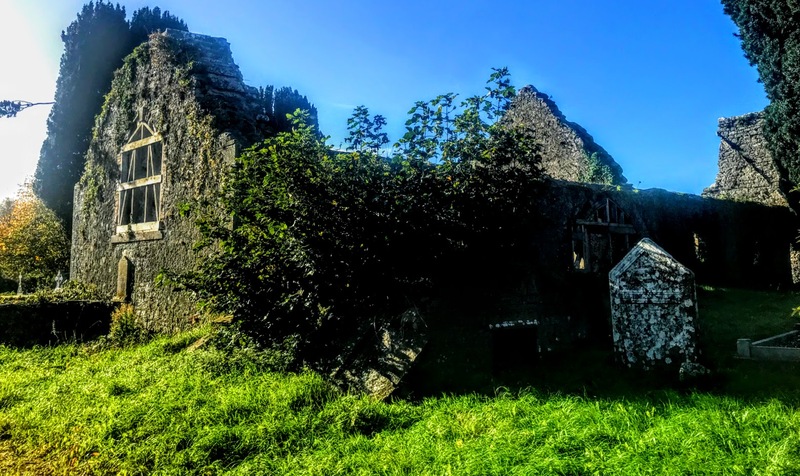 Walcott bought Ballyvarra Castle in 1655, and by 1667 he had settled at Croagh, Co Limerick, where he had an estate that provided an income of £800 a year. He also had lands at Amigan in Co Limerick. His neighbour, Sir Hardress Waller (1604-1666), who was the Governor of Askeaton in 1641, was one of the regicides who signed the warrant for the execution of King Charles I in 1649. Waller was later condemned to death, and died in prison in Jersey. He was offered the post of Governor of the Province of Carolina in North America by his political ally, Anthony Ashley-Cooper, 1st Earl of Shaftesbury, but declined. Walcott was arrested in 1672, accused of planning a Dutch invasion of Ireland, and he spent eight months in Tower of London before he was exonerated. Thomas Walcott visited Shaftesbury in his self-imposed exile in the Netherlands in 1682. A year later, he was arrested in England on 8 or 10 July 1683 for his part in the Rye House Plot, a conspiracy to assassinate Charles II and his brother, the Duke of York, the future James II. After the Restoration of the monarchy in 1660, some former Cromwellians and MPs feared Charles II’s links with Catholic France were too close. Anti-Catholic fears were stoked by the conversion of his brother James in 1673. Rumours of plots and conspiracies abounded. 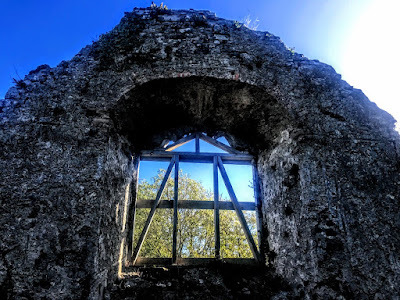 Richard Rumbold was the tenant of Rye House, near Hoddesdon, in Hertfordshire, in 1683 when it became the setting of the Rye House Plot to murder King Charles II, and Walcott and Rumbold were among the accused conspirators. The plan was to conceal a force of men in the grounds of Rye House and to ambush King Charles and the Duke of York on their way back to London from the horse races at Newmarket. The royal party was expected to make the journey on 1 April 1683. However, a major fire on 22 March destroyed half the town of Newmarket, the races were cancelled, and the royal party returned early to London. Although the planned attack never took place, the plot was uncovered the suspected conspirators were rounded up. Thomas Walcott was one of the accused conspirators. He stood trial on 12 July 1683 in the Old Bailey, London. He was found guilty of high treason and was hanged, drawn and quartered on 20 July 1683 at Tyburn Hill in London and his head displayed publicly on a spike at Aldgate. He was the last man in England to undergo this punishment. In all, 12 conspirators were executed – some were hanged, drawn and quartered, some were hanged, two were beheaded and one was burnt at the stake. Two were sentenced to death but later pardoned, 11 were imprisoned, nine were exiled or fled to the Netherlands, one escaped from the Tower of London, one cut his throat in the Tower, and many more were implicated. The final trial was that of Charles Bateman, who was hanged, drawn and quartered in 1685. Walcott’s cousin, William Russell, Lord Russell, was also convicted and executed. Algernon Sidney was convicted on weaker evidence by Judge George Jeffreys, who was brought in as Lord Chief Justice in September 1683. Many historians suggest the story of the plot may have been largely manufactured by King Charles or his supporters to allow the removal of most of his strongest political opponents. Popular reaction to the vengeful excesses in its suppression later contributed to Williamite Rebellion of 1688. Thomas Walcott’s eldest son, John Walcott (1655-1736) of Croagh, and his brother William Walcott, fought alongside William of Orange at the Battle of the Boyne in 1690. In a cruel irony, it is said that after his defeat at the Battle of Boyne, James II slept a night at Amigan Castle, near Croagh. Eventually, Thomas Walcott was exonerated posthumously with the reversal of his attainder in favour of his eldest son, John Walcott, during the reign William III in 1696. John Walcott was restored to his father’s estates, and he became Deputy Lieutenant of Co Limerick. A mortgage dated 1698 refers to John Walcott of Gray’s Inn, Middlesex, son of Thomas Walcott of Croagh. By then, the Walcott family owned over 1,000 acres in Co Limerick and had extensive lands in the Burren in Co Clare. When John Walcott died without heirs in 1736, he left his Irish estates to his niece’s husband, John Minchin (1700-1753). His sister Catherine had married William Fitzgerald of Sixmilebridge, Co Clare, and their daughter, Eleanor Fitzgerald, married John Minchin, who changed his name to John Minchin-Walcott when he inherited the Croagh Estate in 1736. He was educated at Trinity College Dublin, was called to the Irish Bar in 1726, and was an MP for Askeaton from 1747 until he died in 1753. 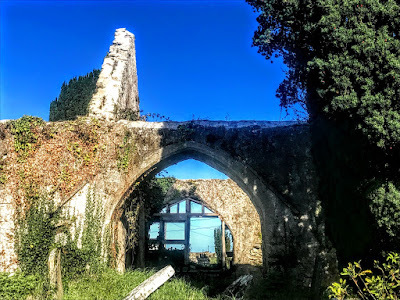 In 1755, his eldest daughter Jane married as his first wife the Revd William Cecil Pery (1721-1794), later Dean of Derry (1780-1781), Bishop of Killala and Achonry (1781-1784) Bishop of Limerick, Ardfert and Aghadoe (1784-1794), and 1st Baron Glentworth. They were the parents of Edmund Pery, 1st Earl of Limerick, while their daughter Eleanor married Sir Vere Hunt (1761-1818) of Curragh Chase, who was also MP for Askeaton (1798-1800). Other family members included the naturalist John Walcott (1754-1831) of Croagh, a friend of Erasmus Darwin of Lichfield, grandfather of Charles Darwin. By the 1790s, the Walcotts were leasing Croagh to Gerald Fitzgerald of Croagh and his son, also Gerald Fitzgerald. Samuel Lewis refers in 1837 to John Walcott of Clifton, Bristol, but originally of Croagh House. This John Walcott of Croagh House built three almshouses in Ballylin for six poor widows of Croagh parish, and each was endowed with half an acre of land for a garden, and a weekly allowance of a shilling to each widow, with an extra l0 shillings each at Easter and Christmas, payable for ever out of his estate at Croagh. Much of the Walcott estates in Co Limerick and Co Tipperary were sold in the 1850s. On a recent journey between Rathkeale and Limerick, on a sunny morning in the autumn sunshine of late October, I stopped in Croagh, half-way between Rathkeale and Adare, just off the N21. Croagh is about 22 km south-west of Limerick City, and was on the N21 until the Croagh by-pass was built in 1986. Today it has one of the widest main streets in any Irish village. Croagh derives its name either from the Irish word cruach, which is a hill or mountain, or cróch, the Irish word for saffron. It lies in the rich farmland of the Golden Vale, and has a park, monastery, nursing home, music school, restaurant, hostel, garden centre, parish church, school, library, shop, two pubs and two GAA pitches. But I had stopped in Croagh that morning not to decide between one pub or another, one football pitch and another, but to see the ruins of the former Augustinian abbey and former Church of Ireland parish church in the townland of Adamswood. 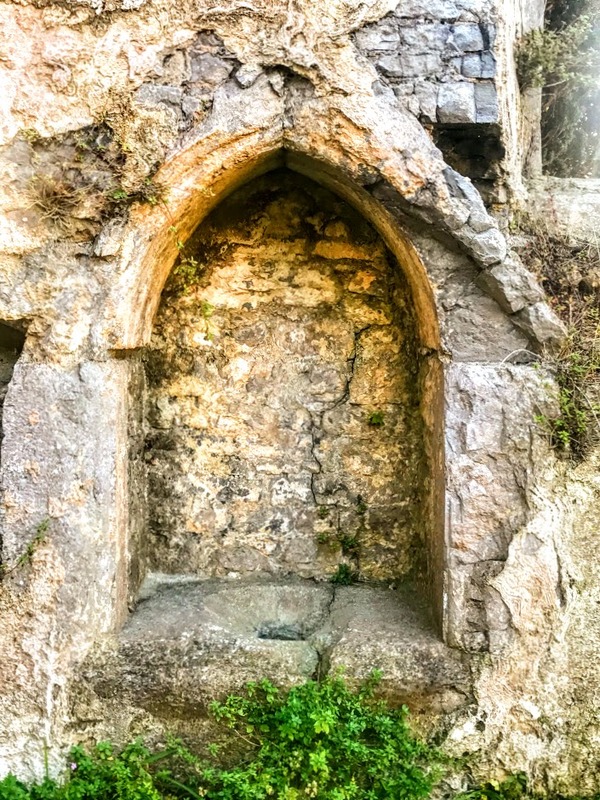 Local tradition says the abbey may have been founded as early as the 10th century and later was a house of the Canons Regular of Saint Augustine, also known as the Augustinian Canons. 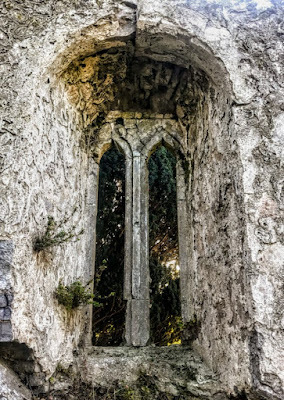 Their presence in Ireland predated by centuries the better-known Order of Saint Augustine, who arrived in Ireland around 1280. However, as Croagh Abbey was suppressed with the other monastic houses at the Reformation in the 16th century, the dates on this plaque have to be questioned. 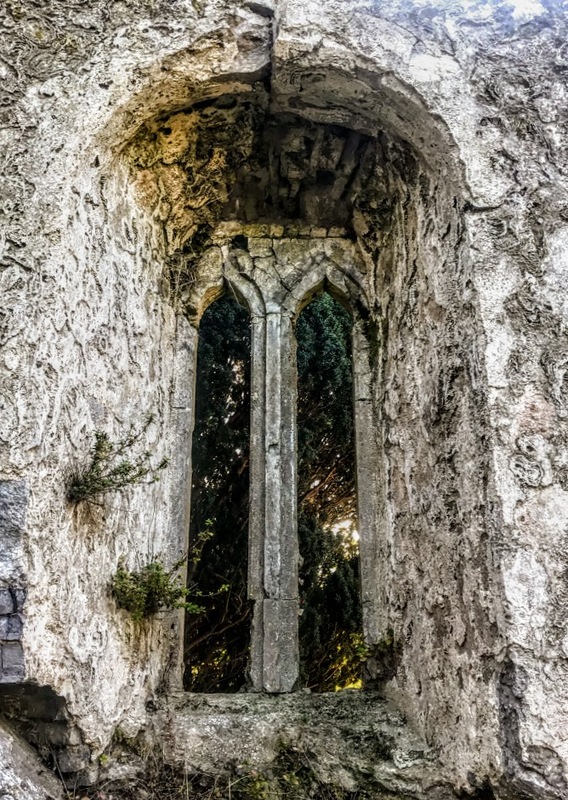 The church is now in ruins, but originally consisted of a chancel and nave, with transepts and a tower. The church lost its cruciform shape when the transepts were destroyed and the arches were blocked up. In the 17th or 18th century, a crossing wall was inserted to the west of the transepts and the east end was re-roofed. The original east window appears to have been completely removed and brick surrounds inserted when the church was being altered. There is a round arched opening in the chancel end of the wall that may have been a doorway, and other surviving feature include a two-light window, a single lancet window, a piscina and a round arched doorway in the nave. The Rectors of Croagh were also Prebendaries of Croagh in the chapter of Saint Mary’s Cathedral, Limerick, and the patron of the living was Henry Deane Grady and later Matthew Barrington. A glebehouse was built in 1831, when a glebe of 10 acres was bought. But until then many of the rectors seem to have been absentee pluralists. Canon William Ashe (1747-1836), was a Vicar Choral in Limerick Cathedral when he became the Rector and Prebendary of Croagh from 1818, and had been living in Newcastle West since 1806. He was also the Rector of Kilfergus (Glin) and the Rector of Grange. The Journal of the House of Commons noted in 1824 that he was non-resident but employed a curate in Croagh. He was living in the new glebe in Croagh and was still the incumbent when he died in 1836 at the age of 89. The church was used as the Church of Ireland parish church from the 18th century until the 1830s, and probably much later. 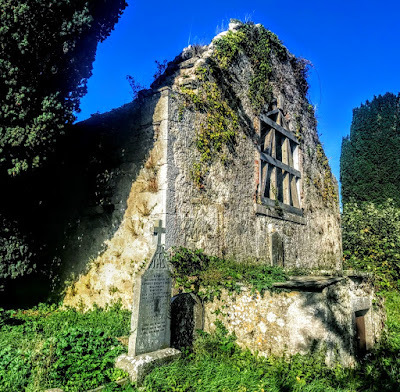 The Limerick historian and antiquarian Thomas Johnson Westropp (1860-1922) said the chancel was still in use when he visited the site in the early 20th century. There is an old graveyard in is in the grounds of the abbey and church ruins. The oldest headstone dates from 1802 and is in memory of Denis Smith who died on 1 January 1802 at the age of 28.